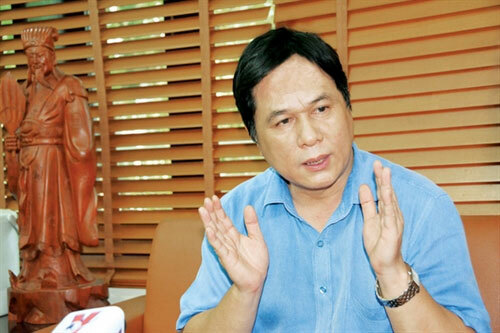 VietNamNet Bridge – Ho Manh Tuan, deputy director general of Electricity Viet Nam’s (EVN) Northern Power Corporation, spoke to the newspaper Nong Thon Ngay nay (Countryside Today) about plans to ensure constant power supply during the monsoon season. What are the negative impacts of severe weather on the power sector this year? Severe weather this year has seriously impacted the power sector. In recent years, the weather pattern has changed quite a lot. As a result, the tasks of preventing and dealing with natural calamities, and search and rescue of victims, have been incorporated into legislation. If in the past we only talked about preventing and fighting typhoons and floods, nowadays the phrase natural calamity covers a wide range of issues, including heat waves, snow, heavy rains and others. I can say that the weather in 2016 in Viet Nam is rather complicated due to climate change. At the beginning of the year, many localities were hit by severe drought, whirlwinds and heavy rains. The weather seriously affected the power sector and we have adopted several scenarios on how to protect and maintain a constant supply of power to consumers. Of course, we have also adopted various strategies to prepare for any mishap if it happens. What are the challenges that the power sector has faced in the complicated changing weather pattern? Due to climate change, the weather in the whole world, including Viet Nam is subjected to extreme heat and cold, severe draughts, floods, typhoons, landslides and others. A big typhoon is likely to bring down trees causing electric poles to collapse, or a power station could be hit by lightening. In such cases it would take us some time to restore power supply to the consumers although we’ll do our best to have the power back as soon as possible. Due to climate change, frost or snow have been reported in many localities in the high mountains. Has the EVN Northern Power Corporation adopted plans to cope with those situations? In recent years, frost or snow has appeared quite often in Sapa in the upper northern province of Lao Cai or in some other localities in northern mountainous provinces. We have instructed consulting agencies to launch a study on designing electric equipment that can withstand such harsh weather. At present, in some localities which are often hit by snow, we have already installed special equipment that can withstand freezing temperatures. In addition, we have also worked out emergency measures to restore power as soon as possible following a natural disaster. Would you please tell us about some activities that the Northern Power Corporation has prepared to cope with negative impacts of climate change on the power supply? At present, the Northern Power Corporation manages 27 localities in the northern regions that have been seriously impacted by climate change. Right at the onset of 2016, we developed different scenarios on how to cope with negative impacts of climate change and established task force units to deal with emergency situations. In addition, we have increased inspection activities on the high voltage power transmission lines and electric grid to ensure they are in good condition. Has the Northern Power Corporation taken any steps to ensure a stable power supply to the 4,000 communes that have been returned to your corporation? Upon the instruction of the Government, over the past seven years my corporation has been charged with managing low voltage grids for almost 4,000 communes in the north. I must say that these grids were in very poor condition as they were constructed many years ago. Immediately following the return of these power lines to my corporation, we had to arrange a budget to upgrade them to ensure safety and steady power supply to residents of the 4,000 communes, particularly during the rainy seasons. In addition, we have launched many campaigns promoting safety in the use of electricity, particularly during the monsoon seasons.